New Connections is in the process of launching their new custom website, designed from the ground up by Backhouse Media. 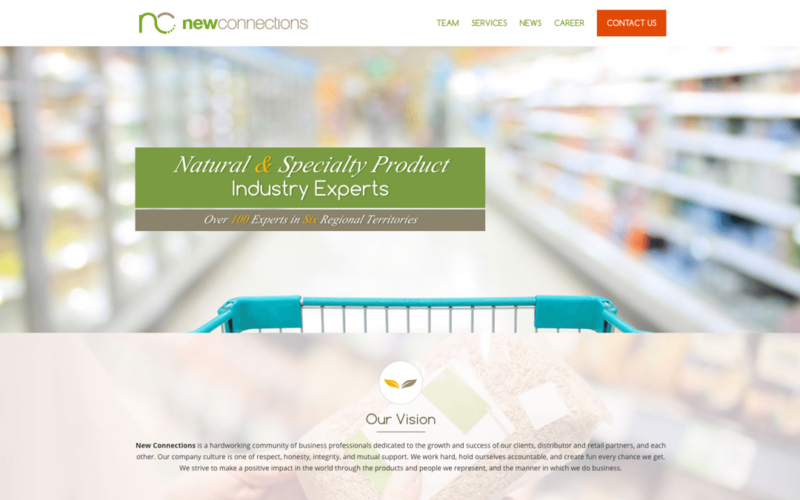 Established in 1983, New Connections is the preeminent Natural Products brokerage in the West, representing leading and emerging natural and organic brands to specialty and natural retailers. New Connections unites business savvy with personal connection in promoting our clients’ success.